"The only other water company deriving a supply from the Thames, in a situation where it is much contaminated with the contents of sewers, was the Chelsea Company. But this company, which supplies some of the most fashionable parts of London, took great pains to filter the water before its distribution, and in so doing no doubt separated, amongst other matters, the great proportion of that which causes cholera." Established by an act of Parliament in 1722, the Chelsea Waterworks was intended to take water from the River Thames for the Westminster area. A few years later in 1725, the company constructed a tidal inlet which later became the Grosvenor Canal. In the following century, the company was still using river water, but the product was not very pure. The House of Commons in 1827 received a petition from Sir Francis Burdett which alleged that "the water taken from the River Thames at Chelsea, for the use of the inhabitants of the western part of the metropolis, [is] being charged with the contents of the great common sewers, the drainings from dunghills, and laystalls, the refuse of hospitals, slaughter houses, color, lead and soap works, drug mills and manufactories, and with all sorts of decomposed animal and vegetable substances." As a result, the "said water [is] offensive and destructive to health, [and] ought no longer to be taken up by any of the water companies from so foul a source." Thereafter in 1828, the artist William Health published a scathing caricature reflecting the public's distaste for the water being supplied from the River Thames by London companies (see picture below). He did not mention the Chelsea Company per se, but his cartoon seemed aimed in its direction. 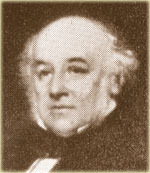 A year later in 1829 under the guidance of company engineer James Simpson (see picture), Chelsea Waterworks Company became the first to introduce slow sand filtration in order to purify their river water. The filter was designed by Simpson and consisted of successive beds of loose brick, gravel and sand. In 1856, under legislative decree (Parliament Act of 1852), the Chelsea Waterworks moved the intake up river beyond the reach of tidal action to Surbiton (then known as Seething Wells -- many miles up-stream along the Thames), adjoining those of the Lambeth Waterworks Company which had also moved its intake site (see maps below). The new 1852 law gave most water companies until August 31, 1855 to comply, with one exception, Chelsea Waterworks, which was given an additional year to comply. In Seething Wells (later known as Subiton) the company had two settling reservoirs and two filter beds. In addition they built three new reservoirs on high ground at Putney Heath. Both of these sets of reservoirs were used by Chelsea waterworks to supply London water, which maintained an office near the original Chelsea location, but no longer drew water directly from the river. The Putney Heath reservoir water was distributed by gravity to Chelsea by two 24 inch and two 12 inch diameter pipes. The original location of the Chelsea Waterworks is seen in the upper left corner of cell S 12 and in the 1843 map. The vacated site (other than an office) is seen in the 1863 and 1869 maps. The new location after 1856 is seen in the Ordnance Survey maps ("move to Seething Wells"). Dickenson HW. Water Supply of Greater London, 1954. Fox C (ed). London -- World City 1800-1840, 1992. Weinreb B, Hibbert C (eds). The London Encyclopaedia, 1993.